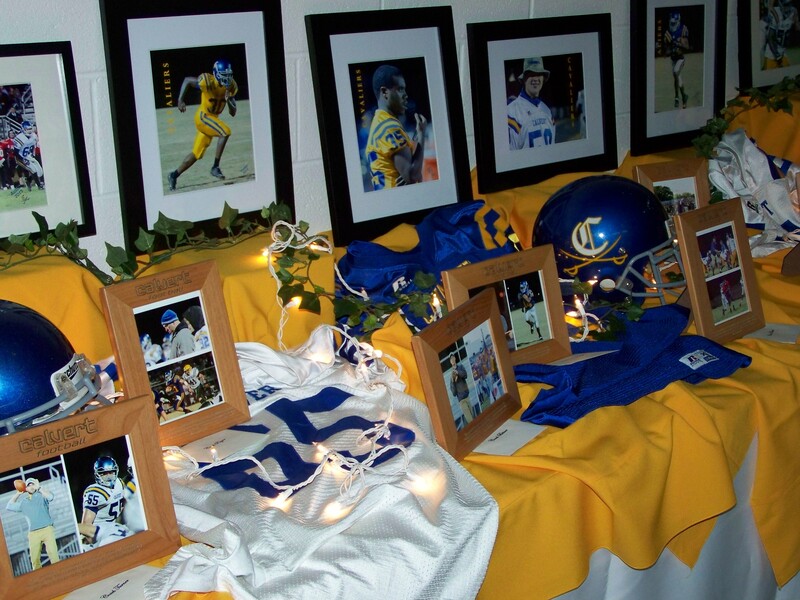 On the evening of December 7th at 5:00 the Calvert Football program will be celebrating the 2014 season and will also bid a proper farewell to our parting seniors. This is a special event that will culminate the careers of our outstanding seniors and honor a great year of tremendous growth for rest of our underclassmen. During the events of the evening, season awards will be presented, players will be honored, hi-lite films will be enjoyed, great food will be provided and many heart filled memories will be made. All players who have finished the season in good standing will be admitted free of charge, but all family members and/or guests that wish to attend, the cost will be just $15.00 per person. For more information and details please contact cavaliers@calvertfootball.com before November 21st. We would also like to announce that there will be opportunities to purchase game worn jerseys which make great keep sakes for our seniors, to also buy select official cavalier football merchandise and meet Mrs. Debbie McIntosh, the creative eye behind the camera that has captured so many awesome moments during the last year. Below is the 2014 Banquet Letter and RSVP Form. WINNERS OF CAV-WAR BATTLE FIVE: CAV-TEAM 4 "THE ELITE-8"